I’ve been reading the book, Birthing From Within, in preparation for the upcoming birth of my second baby boy. There are many wonderful suggestions I love in this book, but one in particular spoke to me recently. 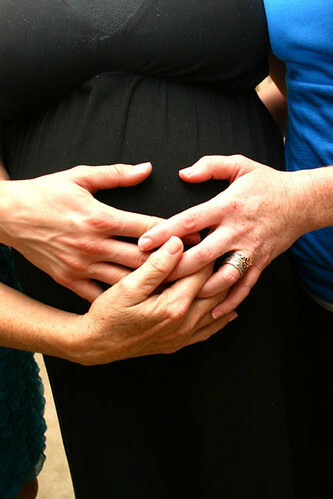 Author, Pam England, talks about how our culture is very baby centered when it comes to birth, and we’ve lost the spiritual connection to the mother. With the first pregnancy, we are thrown several showers, given many gifts and everything is so new and exciting. This time around, although still new and exciting, I’m so much busier with my toddler and time just seems to fly by much more quickly. 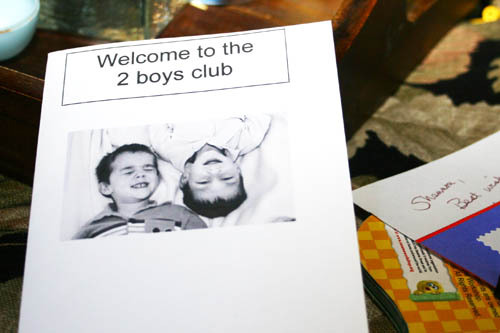 There have been no parties, showers or celebrations planned – until a few weeks ago. We invited many of our special women friends to come celebrate being a mother, to honor their own mothers, and to take time to recognize our new little baby who will be born in the next few weeks. 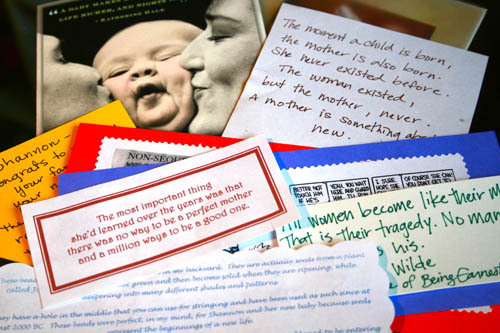 Each woman was asked to bring a bead, along with a quote, blessing or story, about being a mother. These beads will be strung together to create a special mother necklace for me! 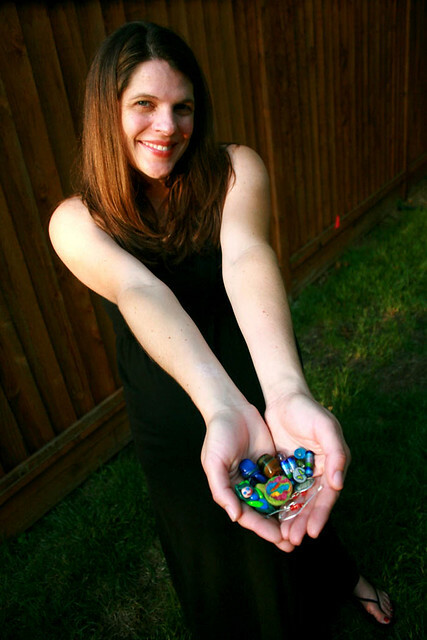 The beads I received were absolutely beautiful – some hand-made, some natural stones, all with special meaning and love. The group of women was intimate and we all shared stories, tears, and laughter. My mom opened the celebration by reading a poem. 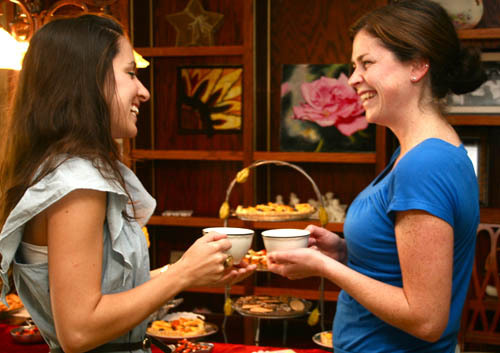 Then we all acknowledged how nice it is bringing women together, especially mothers, to simply enjoy being present and taking time to honor the cycle of life. We shared how my mom’s mother passed away in March and how I had the privilege of being by her side when she took her last breath. I held my grandma’s hand, while pregnant, reflecting that here my baby has yet to take his first breath, and my grandmother will soon take her last. *Have a bowl of questions that your guests can read aloud. This is a great way to get the conversation and sharing going. Example questions: What was your favorite meal your mom made when you were a kid? Share a memorable or funny story about your mom. 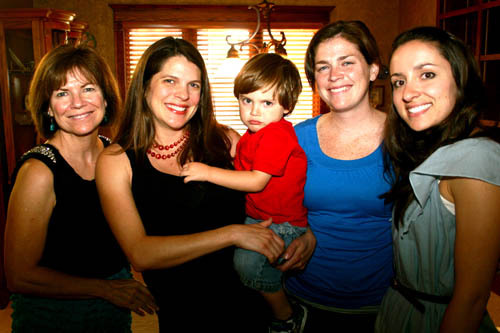 What was one thing you learned about yourself when you became a mother? 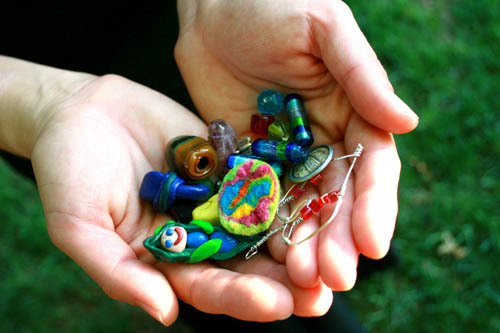 *After eating, sit in a circle and give your guests a chance to share their bead, blessing or quote. Have them string their bead or place it in a small bowl and pass it to the next person. 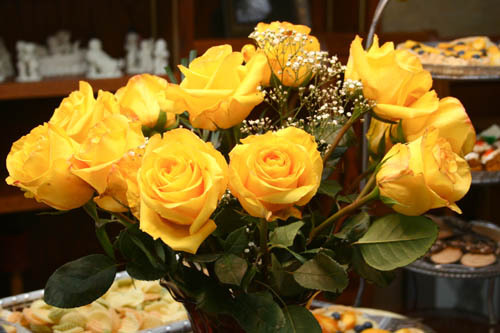 *End by giving each woman a small gift – we gave out yellow roses – a symbol of friendship, joy and wellness. 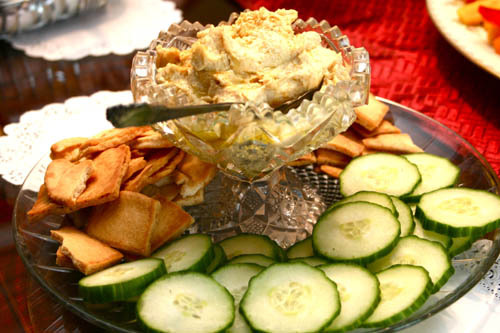 Mix one container of cream cheese with 2 t dill. Let sit in your fridge for a few hours before spreading. 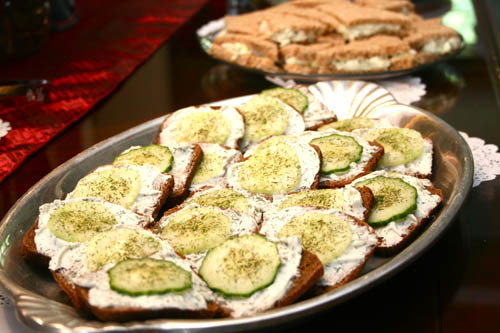 Using small pumpernickel bread in squares, spread the cream cheese mixture, top with thin cucumber and sprinkle lightly with dill. Hard-boil 9 eggs and let cool. Peel eggs and smash with a fork. Mix with 1/3 cup mayo, 1/3 cup plain yogurt, 1/3 cup dill pickle relish. Spread on soft wheat bread (with crusts cut off.) Cut the sandwiches into small triangle shapes. 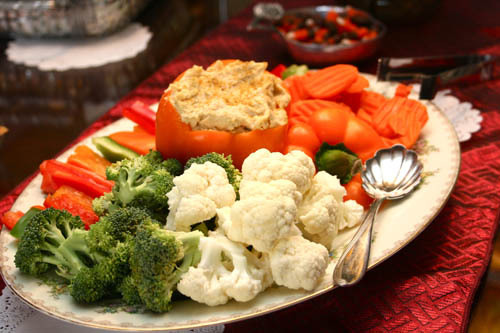 Try a fresh hummus and veggie platter. And of course, offer plenty of desserts! 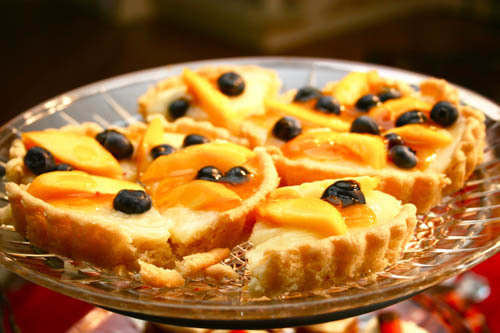 We had fresh custard fruit tarts, soft pumpkin bars and chocolate cookies. My friend, Dana, gave me 100% natural beads that she grew in her backyard! They are actual seeds from a plant called Job’s Tears. They start out green and then become solid when they are ripening, while deepening into many different patterns and shapes. They have a hole in the middle that can be used for stringing and have been around since 2000 BC. Dana thought they were perfect for me and our new baby because these beads represent the beginnings of a new life. And enjoy the blessing of motherhood – one of life’s greatest gifts – even when your kids are sad and grumpy! 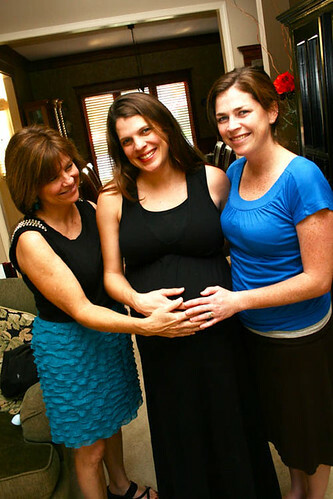 Your Personal Reflection: Take some time this week to honor a mother in your life. Here’s a letter from my dear friend, Jennie, written to my new baby boy. I am writing to tell you a little about your lovely mother. While I am sure that you already know her well from inside her belly, there are a few things I would like you to know. You are one of the luckiest babies in the world. In addition to being kind, loving and patient, your mother inspires people to enjoy life and find true happiness. I know that I am not alone when I say that I am privileged to be a part of her life. As a great friend and guide, she will tenderly support and encourage you to find your way in this world. She will listen to you with her heart and brighten your day when you are down. You mother is pure sunshine.